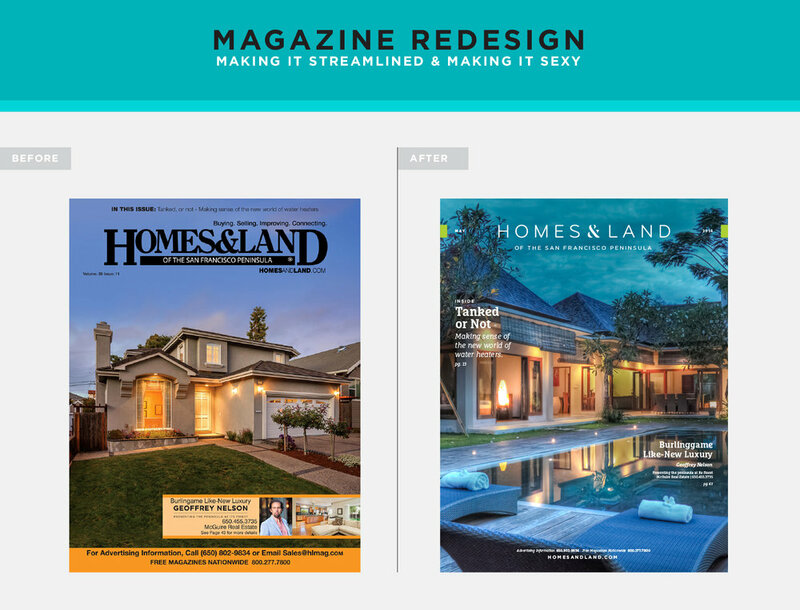 Homes & Land is a leader in integrated real estate marketing, publishing more than 27 million magazines annually. As a 30-year-old brand, they were struggling to find relevancy in a quickly evolving market. We worked with Sutula Marketing to elevate their brand back into the marketplace as a well-seasoned player with a fine-tuned edge. Homes & Land came to us with the task of bringing their well-established brand from the age of agents armed with pagers and print-outs, into the era of self-sufficiency, apps and data. With new competitors, like Zillow and Trulia, Homes & Land realized it was time to assess their brand and reclaim their place as the leading established standard in the real estate game. It was important to keep the brand equity that took three decades to develop. But it was also paramount to move them into a contemporary space where they could stand with the new faces in real estate. 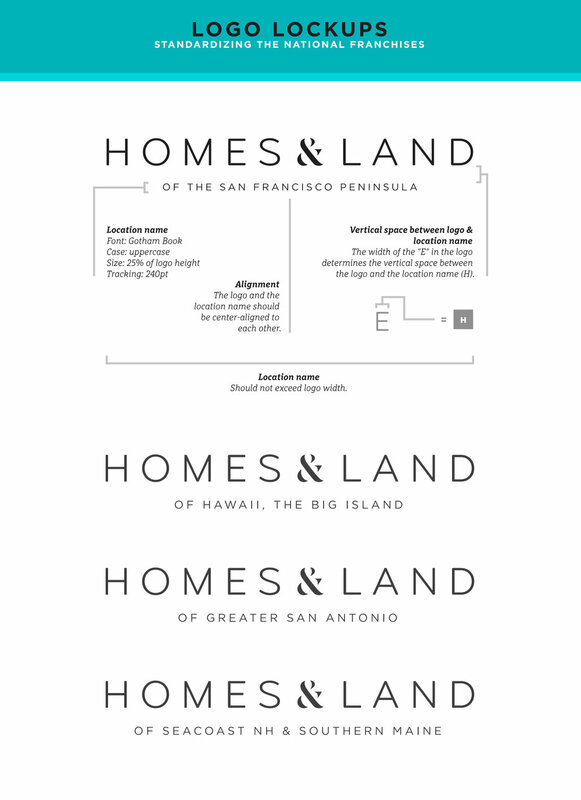 Homes & Land is a national brand built on local franchises. Therefore, their logo needed to have a locality lockup version. This version needed to be flexible in order to accommodate hundreds of regions. We created standards that allowed every locality to have its own voice while keeping every lockup standardized. As a monthly periodical, the Homes & Land also needed their rebrand to extend into the printed space. We designed a new cover system to make sure the new brand voice was realized. Focusing on photography and minimalist design, we elevated the magazine to the level of its competitors. Because these magazine are run by franchises, the cover build had to be accessible to a variety of designers, so we created concise guidelines to ensure national consistency.